Instagram is testing visual changes for iOS. For sometimes Instagram has stuck to the same classic design, but with updated visuals, the app could finally move forward and fall into line with the design trends being adopted by many other apps. Instagram has recently been testing a design change with a small percentage of its total user base. Instagram is testing this design with only a handful of users before it decides whether or not to roll it out to the general public. 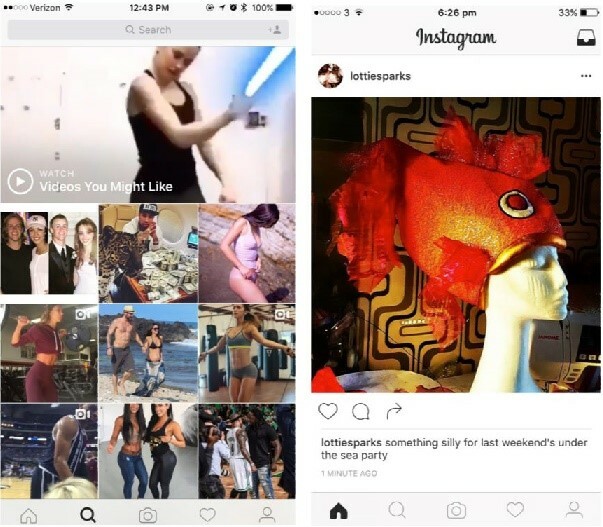 Recently, Instagram rolled out support for 60-second videos to all users. Instagram said video viewership has increased by more than 40 percent over the last 6 months. This update followed the company rolling out multiple account support to users.